Later this year, Sonos will be discontinuing controller support for Apple devices running OLD versions of the iOS operating system. Sonos will be releasing software updates that will add new features but impact the Controller App for older iOS devices (iPad, iPhone, iTouch). This system update will not allow devices with iOS 4 or iOS 5 to control your Sonos System. 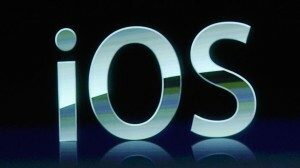 These older versions run on the first generation iPad, iPhone 3G and the second and third generation iPod Touch. To see what version of to see what version of iOS your Apple device runs, select Settings, General, Software Update. The current version is iOS 7 with iOS 8 coming this fall. Note that Apple does not support current versions of iOS on older devices, so it is not possible to simply upgrade to a current iOS. Also note, our understanding is that these Sonos updates affect the entire system, not simply the controller, so it is not an option to simply use the old iOS app to control your system. Desktop controllers: Mac running OS X 10.6.8 or greater, PC running Windows® XP SP3 or higher, Windows Vista™, Windows 7, Windows 8. If you have any question about this issue, don’t hesitate to contact us.